Why is Google in the cloud business? It’s become accepted that there are 3 main cloud providers: Amazon, Microsoft and Google. From those, it’s further accepted that Amazon are the leader, by an order of magnitude. It’s also commonly thought that cloud infrastructure is a low margin business and this one reason is why Amazon is doing so well. This is very different from the model Google is used to. The majority of its revenue comes from advertising, which is a high margin business (20–30%). So, why is Google in the cloud business? They are always trying new experimental businesses, searching for the next new model to provide security as advertising becomes more competitive (Facebook). Amazon is demonstrating huge revenues from cloud, but assumed at such a low margin, is this really the next big thing for Google? There’s a common myth that AWS was started as a way to sell off spare capacity, but that’s not actually true. AWS officially launched in 2006 with its queuing service, SQS, as the first product after a proposal was pitched to Jeff Bezos. It wasn’t until 2010 that Amazon.com had fully moved to AWS. In contrast, in most cases Google Cloud releases productised versions of systems that already exist inside Google, and are used for Google products. GCP is the sharing of the expertise already built internally, and Google themselves are the biggest user of these technologies. It may not be “spare capacity” per se (perhaps with exception of preemptible VMs? ), but it does mean Google can benefit from selling productised versions of tools already used internally. This turns each one into revenue generating products rather than just being part of the cost of running Google. Google’s mission statement is to organise the world’s information. What better way to do that than by providing the raw infrastructure services that data is stored on? Google’s Bigtable paper claims to have started the NoSQL revolution (and is now a GCP product). Of course, data is not the same as information but by providing database products, Google could claim to be furthering that mission, especially when Amazon is already claiming a $1bn run rate just from its database products. 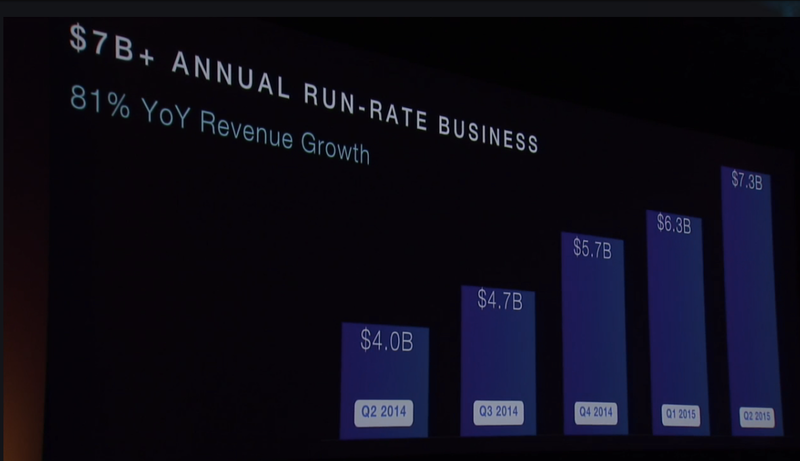 The portfolio of products offered by Amazon Web Services is huge. Their goal is to remove the undifferentiated heavy lifting by providing all your infrastructure as a service, so you can focus on running your primary business. This ranges from compute to email delivery and from storage to databases. 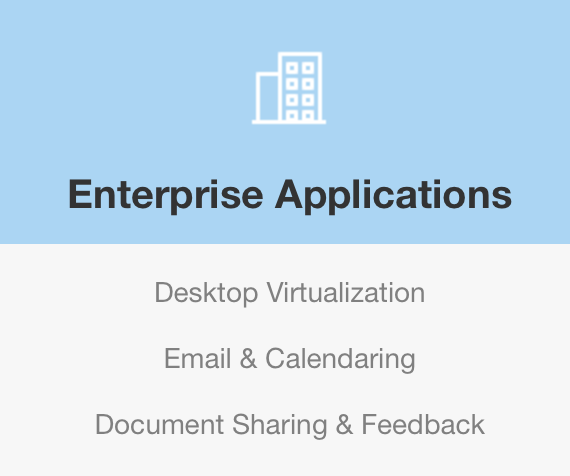 More recent releases include hosting email, virtual desktops and document collaboration. AWS want to be your IT department — they started with the raw infrastructure like compute and storage but have moved into the software products used by everyone in the company: email, documents, BI. No doubt they’re just getting started here. Those enterprise products are key because it’s also what Google Apps is, albeit Google’s GMail, Calendar, Docs, Spreadsheets and Slides products are significantly more advanced. Amazon now claims 1 million AWS customers but Google claims over 5 million “Google for Work” customers. They’re already inside companies providing corporate IT systems so stepping in to replace key infrastructure pieces like compute, storage, long term data archiving, databases, etc makes sense. Indeed, it’s the opposite approach Amazon have taken. Why is IT spending an interesting market? Because it’s worth $trillions. What if it wasn’t actually low margin? Commodity products tend to be low margin and there’s an argument to say that compute, storage and networking are mostly undifferentiated, low margin commodities. It’s a lot easier to compare EC2 and Google Cloud Storage pricing to running it yourself. It’s much harder to compare costs of running a database or endpoint security service, especially when the costs from cloud providers grow linearly whereas your own on-prem costs don’t do well when faced with sudden scaling. Providing all the underlying infrastructure like compute and networking is a prerequisite to building the portfolio of IT services, so when you come to need some other service, it’s more convenient to get it from the same vendor as your other IT systems. It’s almost like those really cheap, loss leader products supermarkets sell to get you to purchase other, higher margin products. And so if we are to believe Urs Hölzle that cloud can be their biggest business, we have to believe that cloud is really a high margin business. The other reasons above are interesting to discuss, but why would they want to replace a high margin profit generation business with one that generates none at all? Interestingly, Andy Jassy has said the same thing about AWS revenues. Amazon has shown no real interest in making a profit, so far. Perhaps this is where AWS comes in? They’ve already announced their operating profit margin of around 17% and I’d bet most of that comes from SaaS style products. This is much closer to what Google is used to, and makes cloud a much more compelling line of business to be in. Now blogging at https://davidmytton.blog, VP, Product Engineering @ StackPath, formerly CEO @ Server Density (acquired by StackPath), EIR @ Seedcamp.